Zorbitz Blue Sun Drop Crystals can fill your life with peace and tranquility, calmness and joy... everything you desire can come your way. 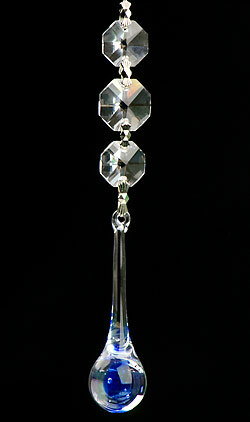 Beautiful European design, Handmade in Belgium same quality as crystal, comes with string to hang. This is a great gift.